Ideal as a gift bag for 1 or 2 charms. 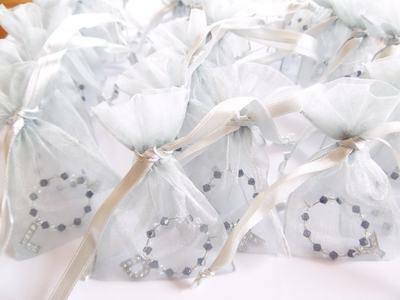 The perfect gift bag or storage solution for 1 or 2 charms. Fabulous for splitting up a set of 6 into individual gifts. Why not sit your bag in the empty wine glass ready to attach your charms next time you use them? Organza Bag 3.5" x 2.5"
PLEASE NOTE:- Charms shown in image are not included.